Ten of Livingston’s first responders reunited this Sunday with a man they revived after he went into cardiac arrest in January. 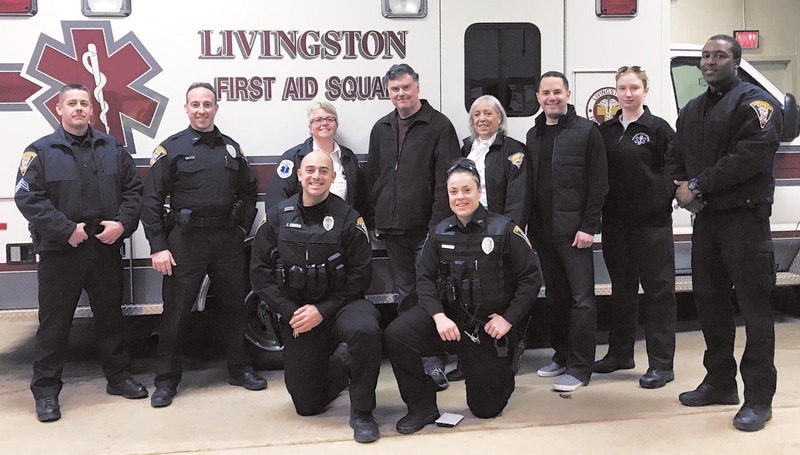 Members of the Livingston Police Department, the Livingston First Aid Squad, and MONOC paramedics responded to a cardiac arrest call at an Amherst Place home on January 22. Bernadette Gonzalez said her boyfriend, Pete McDonald, 60, had suddenly collapsed inside her home. Police arrived to find him unresponsive and in cardiac arrest, according to First Aid Squad member Michael Barnhard.